Using helicopters in support of transmission line construction and in the stringing of wires has improved the process exponentially, making the transition from the start of the endeavor onto the project's completion more timely and effective. This is especially true of establishing transmission lines in Rhode Island where some areas may prove to be environmentally challenging or remote. FairLifts works in conjunction with a network of national and global vendors to deliver a fast, accurate and efficient alternative to what was previously considered the utility installation industry standard. Helicopters can easily access areas where terrestrial cranes and over the road vehicles cannot, thereby mitigating the need for supplemental ground crews and equipment. This, in turn, makes it possible for the process of constructing transmission towers to be completed in a fraction of the time it had in previous years. Smart contractors and utility companies know the knowledgeable choice in reserving helicopter support for Rhode Island transmission tower construction is FairLifts. Especially in a state where the terrain is diversified as it is in Rhode Island. Despite its diminutive appearance on a map, the state of Rhode Island features an array of intriguing topographical elements that may surprise those seeking to learn more about the area. Essentially bisected into two separate regions, the first being the New England Upland Region which is more expansive occupying at least two-thirds of the state, and featuring a more rugged and hilly terrain that is covered in forests and lakes, and the second, the Seaboard Lowland is possessing of a number of sandy beaches and salt marshes, which serve to make the state as beautiful as it is diversified. In instances like this, where the environment can deliver a manifold of challenges for the resource community, the need for effective and efficient utility support alternatives is imperative. 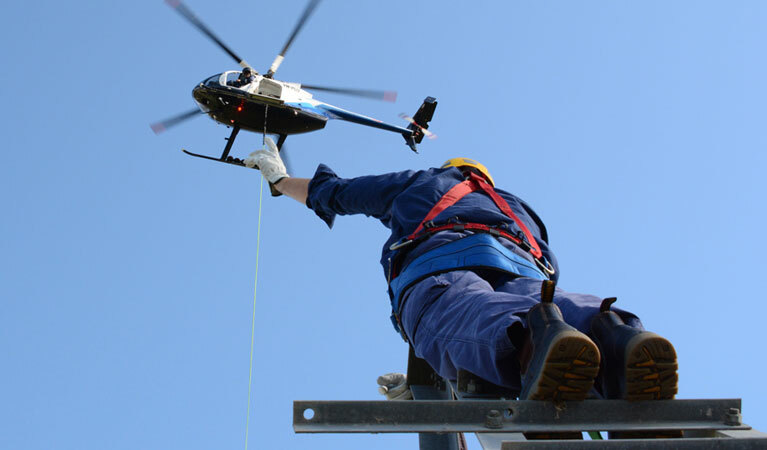 Rhode Island electric companies stay abreast of challenges the environment may deliver by routinely integrating helicopter support into the mix in transmission tower construction and installation. Helicopters can easily achieve access to remote and isolated areas over rugged terrain and mountains and are used routinely to establish connections through marshes and offshore. They can additionally prove beneficial in aerial inspections across an extensive area. As recently as this summer, National Grid, an electric and gas company employed the use of helicopters to conduct aerial patrols of its New England transmission network which spans roughly 3000 miles across a number of states including Rhode Island. The patrols proved vital in the identifying of potential problems before they could negatively impact the line's service areas. Contractors reaching out to FairLifts for the first time will soon discover how simple and seamless the reservations process is. Our agents have a host of options to source from as a result of an extensive network of professional vendors. From sourcing experienced pilots and utility proficient crews to procuring industry suitable hardware to be used alongside the state of art helicopter’s technologies, FairLifts’ agents are adept at managing any project complexities regardless of the size and scale of the task. Reserving helicopter applications through FairLifts allows for clients to benefit from the agent's expertise in sourcing the best Rhode Island and global vendors have to offer to get the project completed successfully and according to its specification. Read on to learn more. Heavy lift helicopter support is often requested in the safe and secure movement of personnel, materials, and hardware to the location of the utility tower’s installation. Transporting these items via helicopter is more expedient, less intrusive to environmentally fragile regions and the most effective way to get accouterments into higher elevations. Through the utilization of specialized equipment and the agility of a seasoned utility pilot, a nylon rope can be weaved through transmission towers and can be used in the effective pulling of wire to string utility installations to establish connectivity. In hundreds of previous instances, helicopters have been used to effectively string miles of wires in less than a days time. The setting of utility poles and transporting of tubular steel or concrete used to construct pylons for transmission towers is made simpler as a result of helicopter application. Especially in locations possessing a number of variances in the topography or in environmentally protected areas. To allow for wide range transmission of power resources to these types of area’s populations, transmission lines may need to be strung across marshes, lakes, streams, mountain tops, etc. Experienced helicopter pilots and seasoned lineman can use helicopters to their advantage to make a precarious job infinitely less challenging. Formerly, ground crews and linemen on foot or ATVs inspected areas surrounding towers, ROWs, and power lines. Although still effective, it took days, sometimes weeks to cover the area surrounding an expansive power grid. A helicopter’s inherent speed, efficiency, and unique capability to hover at lower altitudes deliver a more up close viewpoint to better serve inspection sites. Additionally, inspections conducted aerially deliver a more comprehensive perspective as opposed to those executed while on the ground allowing for inspections that typically take weeks to be finished in hours. Personnel can be safely and securely transported to the site of tower installations across Rhode Island via helicopters. Not only can helicopters deliver a number of linemen to an installation site, they can do so in remote or impassable regions and because of their capability to land and take off without the need for a runway, they are ideal to transport utility crews to offshore destinations and onto oil rigs and platforms. Helicopters can also provide a safe and stabilized environment for senior utility industry executives to travel between job sites or for utility specialists to conduct site inspections to check for compliance. Experts are standing by to get you a fast quote for your transmission line job in Rhode Island! 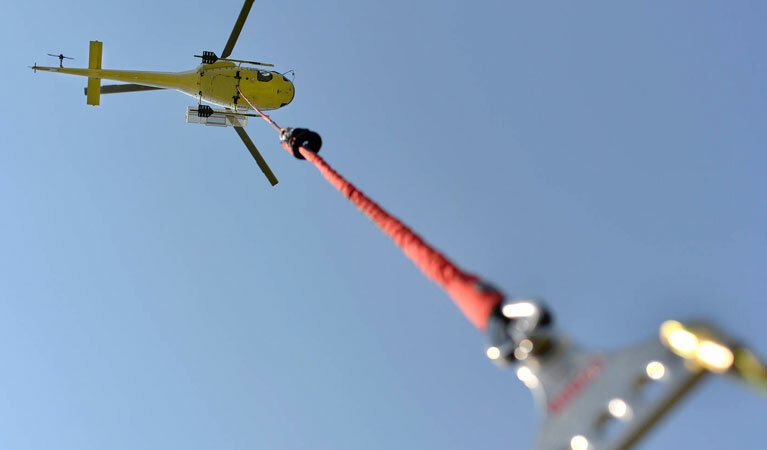 FairLifts’ proven reservation process to secure helicopter support for utility construction is simple and convenient. 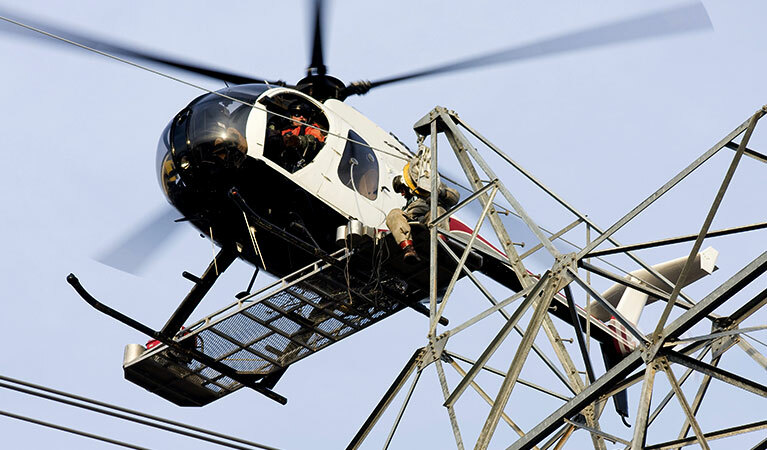 Agents are available 24/7 to coordinate an array of helicopter services to help Rhode Island transmission tower construction to be completed swiftly, accurately and effectively. All we require is the project specifics and information about how we can best serve its purpose and we will produce a professional solution that will easily achieve the project’s objectives. The first step is to call or fill out our convenient form.